There are over 100 types of arthritis. Arthritis involves damage to the body's joints and is the leading cause of disability in the United States. Joints naturally degenerate over time and most people over the age of 50 show some signs of arthritis. Fortunately, arthritis can be managed through a combination of medication, exercise, rest, weight management, nutrition, and, in some cases, surgery. Talk to your personal physician and contact Pain Management Associates, Fort Wayne's premiere pain management facility, regarding treatment options if you are suffering from arthritis. Osteoarthritis, or degenerative joint disease, is the most common form of arthritis. It occurs when cartilidge in your joints wear down over time and is typically found in your hands, knees, hips, and spine. There is no cure for osteoarthritis, but treatments can relieve the pain to keep you active.If you have swelling or stiffness in your joints that lasts for more than a period of two weeks, contact your doctor. Rheumatoid arthritis is an inflammatory form of arthritis that causes joint pain and damage. It attacks the lining of your joints, known as the synovium, causing painful swelling and eventually deformity. 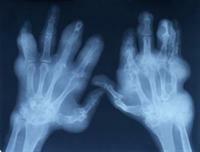 Rheumatoid arthritis is two to three times more common in women than in men. While there is no cure for Rheumatoid arthritis, a proper treatment can lead to a healthy life relatively unhindered from pain. Fibromyalgia is characterized by widespread pain in your muscles, ligaments and tendons, as well as fatigue and multiple tendor points. Like Rheumatoid arthritis, it is more common in men than in women. Fibromyalgia is not life-threatening and with the right treatment will improve your symptoms, helping you to lead a better life. Psoriatic arthritis is found in some people who have the serious skin condition, psoriasis. The most common symptoms of this form of arthritis are joint pain, stiffness, and swelling in any part of your body. The pain you feel from psoriasis and psoriatic arthritis can range from mild to severe. Since there is no cure for psoriatic arthritis, doctors focus on controlling the symptoms and preventing serious damage to your joints.